This NEW 3"x 5" booklet is printed on durable laser card stock with a non-metallic spiral. It contains every application in the Textbook Volumes 1 - 4 in the same order as the books. It provides the complete left and right applications completely written out. This Pocket Textbook (Procedures Reference Guide) doesn't contain diagrams or other application information. It does contain additional charts for easy reference which are not found in any other TKM® Textbook (Pulses Chart, Energy Sphere Chart, Lumbar Star Chart). 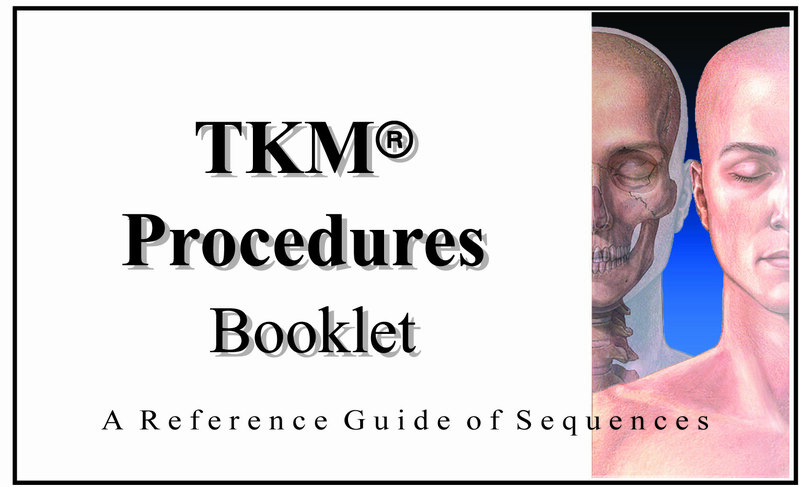 This space-saving, quick-flip reference guide also contains EMT procedures in the back of the book, as well as a special sequence from the TKM® Advanced book. Published by the King Institute, Inc.
© 2012 Glenn T. King, PhD, CDN, CN, All Rights Reserved.